Kennecott, also known as Kennecott Mines or AHRS Site No. XMC-001, is an abandoned mining camp in the Valdez-Cordova Census Area in the U.S. state of Alaska that was the center of activity for several copper mines. It is located beside the Kennicott Glacier, northeast of Valdez, inside Wrangell-St. Elias National Park and Preserve. The camp and mines are now a National Historic Landmark District administered by the National Park Service. It was declared a National Historic Landmark in 1986. In August 1900, two prospectors, Jack Smith and Clarence Warner, spotted a green patch of hillside that looked like good grazing for their pack horses. The green turned out to be part of a mountain of copper ore. They, together with nine friends, formed the Chitina Mining and Exploration Company. Shortly after this time, a U.S. Geological Survey geologist found a sample of ore that analyzed as containing 70% copper as well as silver and traces of gold. Stephen Birch, a mining engineer just out of school, was in Valdez when members of the Chitina Mining and Exploration Company arrived in the fall of 1900. Birch, who knew wealthy people in the northeastern United States, bought the prospectors' interest in the mine for $275,000. Within twenty years, the find proved to be the richest known concentration of copper in the world. Development of the mines began immediately. Ore was taken out by pack horses on a trail to Valdez. Political battles over the mining and subsequent railroad were fought in the office of U.S. President Theodore Roosevelt between conservationists and those having a financial interest in the copper. In 1903, additional financing for the mining came from the Guggenheim family and J.P. Morgan, who formed the Kennecott Copper Corporation in 1903. 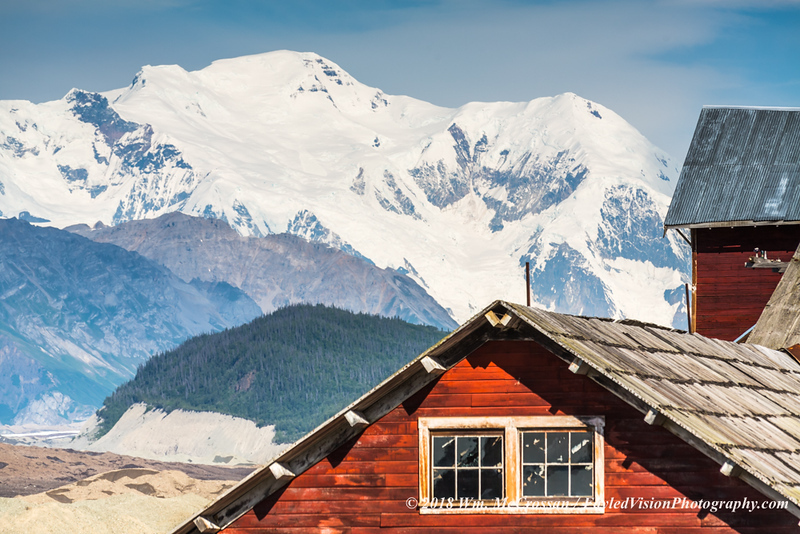 The corporation and company town were named after Kennicott Glacier in the valley below, which was named after Robert Kennicott, a naturalist who explored in Alaska in the mid-1800s. A mistake was purportedly made on some paperwork when Kennecott Mining Company was formed, forever spelling it with an "e". Today all the natural features of the area still carry the original Kennicott spelling with an "i", while man-made features associated with the old mining “camp” are spelled Kennecott. When the residents are collectively referred to, the spelling Kennicott is usually (and colloquially) used. Kennecott had five mines: Bonanza, Jumbo, Mother Lode, Erie and Glacier. Glacier, which is really an ore extension of the Bonanza, was an open-pit mine and was only mined during the summer. Bonanza and Jumbo were on Bonanza Ridge about 5 km, (3 miles) from Kennecott. The Mother Lode mine was located on the east side of the ridge from Kennecott. The Bonanza, Jumbo, Mother Lode and Erie mines were connected by tunnels. The Erie mine was perched on the northwest end of Bonanza Ridge overlooking Root Glacier about 6 km (3.7 mi) up a glacial trail from Kennecott. Ore was hoisted to Kennecott via the trams which head-ended at Bonanza and Jumbo. From Kennecott the ore was hauled mostly in 140-pound sacks on steel flat cars to Cordova, 196 rail miles away on the Copper River and Northwestern Railway (CRNW). On April 8, 1911, the first ore train hauled $250,000 of 70% copper ore. In 1916, the peak year for production, the mines produced copper ore valued at $32.4 million. In 1903, additional financing for the mining came from the Guggenheim family and J.P. Morgan, who formed the Kennecott Copper Corporation in 1903. The corporation and company town were named after Kennicott Glacier in the valley below, which was named after Robert Kennicott, a naturalist who explored in Alaska in the mid-1800s. A mistake was purportedly made on some paperwork when Kennecott Mining Company was formed, forever spelling it with an "e". Today all the natural features of the area still carry the original Kennicott spelling with an "i", while man-made features associated with the old mining “camp” are spelled Kennecott. When the residents are collectively referred to, the spelling Kennicott is usually (and colloquially) used.